Oral cancer is an increasingly common disease which has little understanding among the general public. In 2012, there were 61,400 new cases of oral cancer in Europe, proving this disease to be a cause for serious concern. Furthermore, oral cancer incidence has increased by 25% in the last 10 years. Oral cancers account for 2% of cancers worldwide, which totals 300,000 cases per year. Another major concern is that over half of oral cancer cases present at an advanced stage; as a result treatment is very complex and can be less effective. Only 30–40% of patients are cured of advanced stage oral cancer, and even in the survivors there are permanent and unavoidable effects on the mouth, causing problems with chewing, swallowing and speech. The good news for those patients who get help early is that treatment is simpler, cure rates are very good (about 80%) and side effects problems are much less serious. 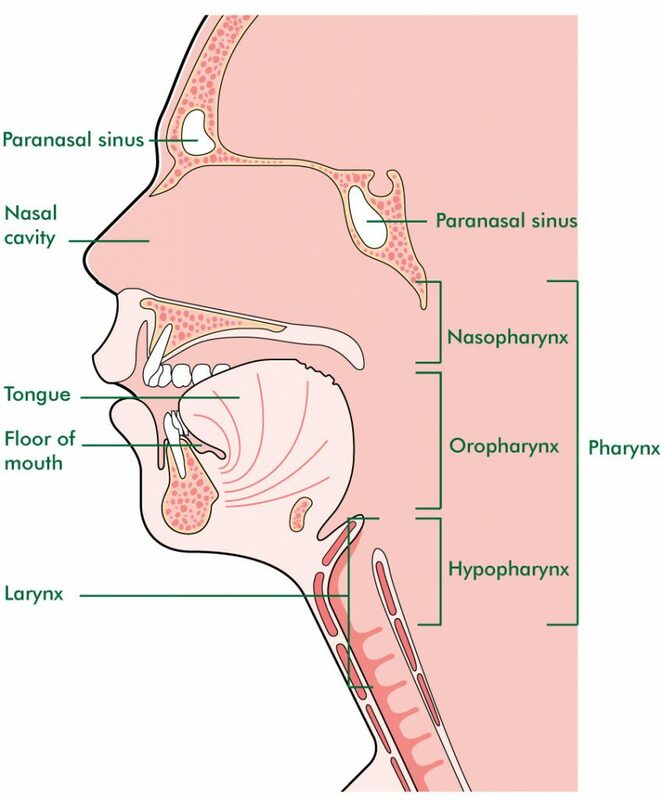 Salivary glands make saliva, which keeps the mouth moist. Salivary gland cancer is most likely to develop in the parotid glands, which are found on each side of the face, just in front of the ears. Rarely cancer can develop in the middle ear. There are a number of different types of throat cancer and every patient is different, but the two most common type of throat cancers are laryngeal cancer and pharyngeal cancer. Almost 300,000 new cases of laryngeal and pharyngeal cancer were diagnosed worldwide in 2012, making it the 13th most commonly diagnosed cancer in men. The number of throat cancer cases varies considerably between different countries; however, is almost universally more common in men than women. This reflects the differences in exposure to the risk factors known to cause throat cancer. Throat cancer is more common in people over the age of 55, although younger patients can also develop tumours in these sites. Thyroid cancer is uncommon, with approximately 53,000 newly diagnosed cases in the Europe each year. It is 2–3 times more common in women than men. Some head and neck cancers are described according to the type of cell they start in. These are mostly known as squamous cell carcinomas (SCC), which start in the cells lining the mouth, nose and throat and account for 90% of all head and neck cancers. Lymphomas start in the lymph nodes and develop from white blood cells called lymphocytes. Adenocarcinomas develop from cells that line the glands. Sarcomas develop in the supporting tissue of the body, including the cells that make up muscles, cartilage, bone or blood vessels. Every day in the UK, 33 people are diagnosed with head and neck cancer. Head and neck cancer is now the sixth most common cancer nationally and globally. (2014).